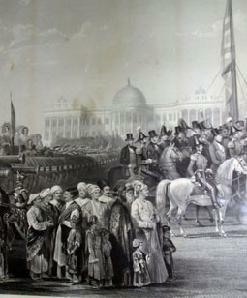 Very Large Important British School Engraving - entitled The Triumphal Reception of the Seikh Guns - Painted by W. Tayler, Esq.-BCS. The inscription reading: Dedicated to the Army of Sutledge under the command of Gen. Sir Hugh Gough, Commander-in-chief and the Ret. 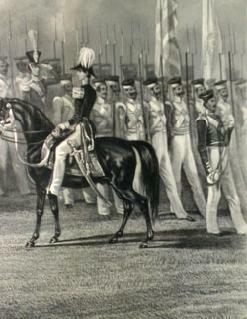 Honourable Sir Henry Hardinge, Governor General, Second in Command. Engraved by F. C. Lewis, Esq- Engraver to the Queen V by C. G. Lewis, esq. 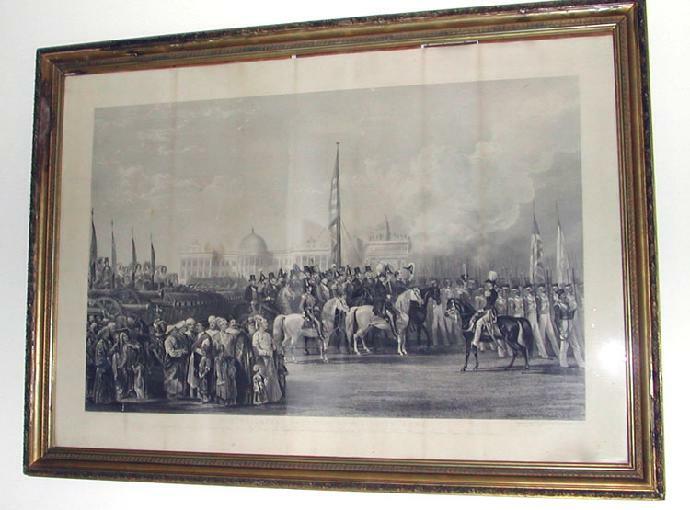 ; in a heavily carved and gilt frame. Condition: Print is in very good condition with some discoloration of paper due to age toning and some/foxing. Some reflections in the photos due to the glass are present in the photos. Frame is in very good condition with some places where molding has flaked off. 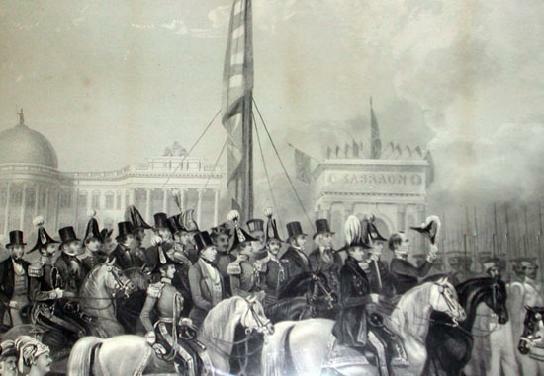 Collections - Two copies - BRITISH LIBRARY - Catalogue #�s P845 and P846 - Lewis, Frederick Christian (1779-1856) and Lewis, C. G. (1808-1880) after William Tayler (1808-1892); �The Triumphal Reception of the Seikh Guns� at Calcutta by F. C. Lewis and C. G. Taylor. Published by James Madden, Leadenhall St., London, c. 1850. 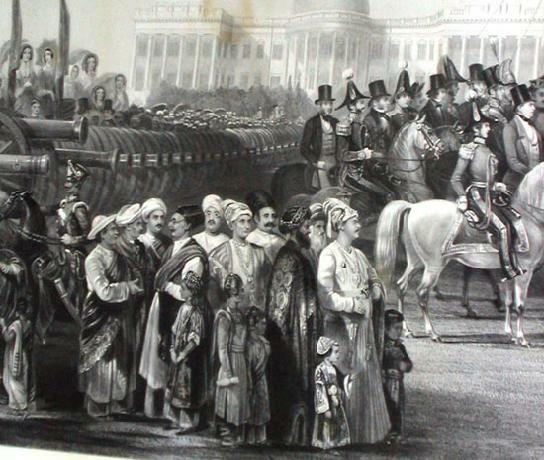 Engraving 1858- British School.